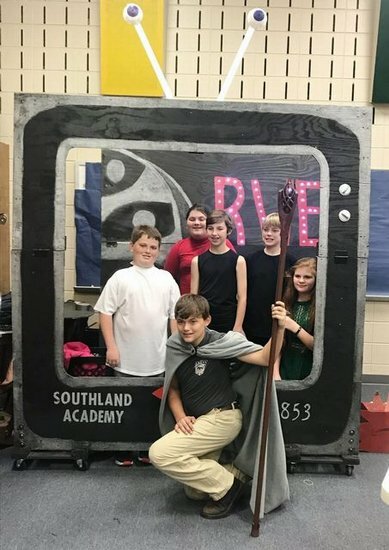 Southland Academy Odyssey of the Mind team takes first place! Southland Academy middle school students competed in the Odyssey of the Mind Regional Competition in Hawkinsville on March 24th. The team won first place with a "Mocumentary" on The Hobbit. The Southland team advances to the state competition held in Columbus on April 7th. The students representing Southland Academy are Perry Bennett, Will Godwin, Lee Graft, Rebecca Jones, Emily McCorkle, and Noah Sheff. The team is coached by Abby Sheff and Dina McCorkle. Congratulations to these Raiders!